They are very easy to fit and provide the driver with a more comfortable grip on the steering wheel. Hand Massage Steering Wheel Cover Black & Wood. 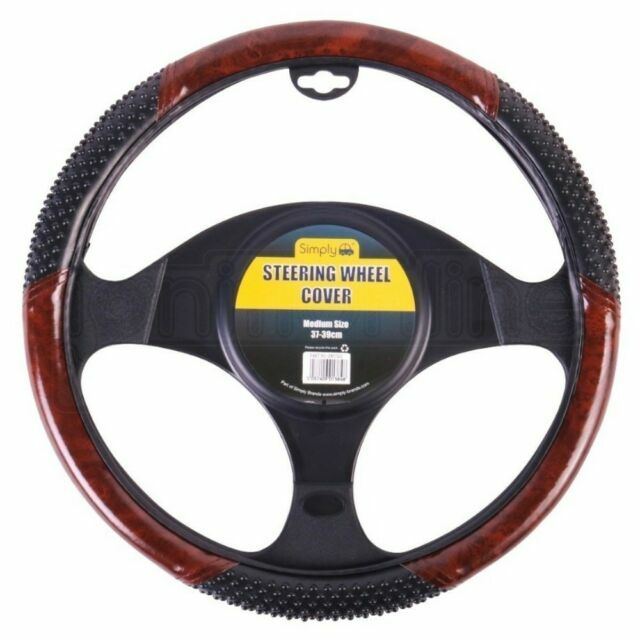 TypeSteering Wheel Covers. Very easy to fit. Quick Find: SWC101. Good quality as per price. Not very smooth while steering therefore if you have high expectation you might be a bit frustrated. Otherwise no big concern overall. Would recommend should you don not want to spend more money !! It is a good product and it beautifies my car. A reasonable price. Will see the durability. Absolutely spot on, really pleased, just as description, fitted like a second skin, bit of a struggle on my own, I am in my 70s, but on it went, appearance nd grip vastly improved, if it lats as I think it will I shall definitely buy another.